I’m looking forward to catching Lively Up! later in the year. The touring festival is celebrating the 50th anniversary of Jamaica’s independence with a raft of concerts around the country. 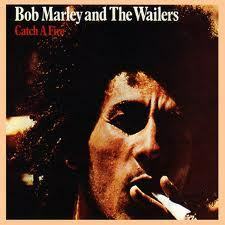 The centrepiece of the music is Bob Marley’s 1973 album Catch A Fire reconfigured by the Jazz Jamaica All Stars with the Urban Soul Orchestra and guest vocalist Brinsley Forde of Aswad. Other elements include a tribute by Nu Civilisation Ochestra to Joe Harriott, a collaboration between Tomorrow’s Warriors and the JazzCotech dancers, and an education strand. Released earlier this week Unity Band, the first stirrings of Pat Metheny’s new acoustic quartet, a band of the great Missourian’s that features the presence of saxophone for the first time in many years, is the sort of album that does not come along every day. Metheny, while dazzling of late with his Orchestrion album and the charming if a little low-key What’s It All About (the spooky orchestrion makes a brief cameo on Unity Band), his output on the last two albums could be seen as part of a holding pattern to partly prove a point firstly technologically and secondly in terms of interpreting pop tunes. Unity Band is a more organic concept, and introduces two big talents: one fully formed and majestic in Chris Potter; the other, in Ben Williams, a player still on his way, but with sky high prospects and already displaying significant character on the double bass. Metheny has already started touring the band in Europe but here in the UK we’ll have to wait until 8 July to hear the Unity Band in the flesh, and what a prospect that is. One thing that has struck me in following Metheny in recent years is: whatever happened to Lyle Mays? With the Pat Metheny Group parked in the (presumably American) garage, his writing talents with Metheny should not be underestimated, and his keyboards always added a unique flavour to PMG shows even if his solo albums invariably disappointed. 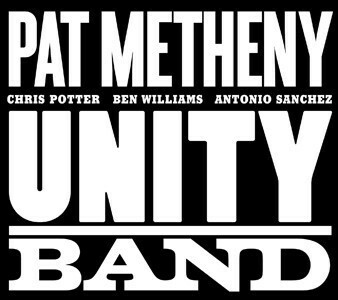 The Unity Band of course is completed by Metheny’s long time trio drummer Antonio Sánchez who we’ve never quite heard enough of in the UK as the trio with Pat, Antonio and Christian McBride never toured here. Now’s the time for him to shine as well. I still can’t quite believe that Lonnie Liston Smith is to play London once again in a high profile jazz club setting after a considerable gap. He’s coming in to Hideaway in Streatham on 13 July, and in some style. 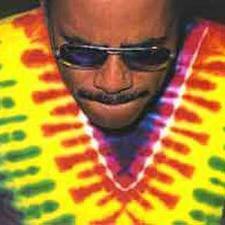 The laidback jazz, funk and soul keyboardist used to come to the UK fairly regularly, often at the Jazz Cafe in Camden where I saw him in the 1990s, and he certainly made a strong impression on me at the time. Liston Smith, who is 71, has a very laidback, spaced out won’t-be-hurried style, very African at times, and in keeping with the moods of Bobby Hutcherson’s San Francisco period say or even Steve Reid’s crossover explorations. Associated with Pharoah Sanders (the wondrous Karma) and Rahsaan Roland Kirk, and a sideman briefly with Miles Davis appearing with Miles in On The Corner and Big Fun, Smith, who was born in Richmond, Virginia in 1940, led his own band Cosmic Echoes memorably in the 1970s making a string of albums including Expansions. He’s been quiet of late, but still a name to conjure with among the cognoscenti, leaving the acid jazzers in the UK in the 1990s and since to keep Liston Smith’s music on everyone’s radar. The smoochy ‘Quiet Storm’ late night sound did not prevail as much as the Hammond organ approach acid jazz also got behind but Smith never conformed to a rigid genre, which is part of his great appeal and explains his distinctiveness. His appearance in Streatham is all the more remarkable given that it’s on the same bill as Brian (Winter in America) Jackson, the keyboardist/singer who with Gil Scot-Heron made one of the key black consciousness albums of the 1970s, a classic whose influence is still relevant today. Heavily sampled by the likes of Kanye West and Common, Jackson is still woefully undersung by the broader UK music community. Family Stand’s Sandra St Victor and Mark Adams are also on the Hideaway bill with Liston Smith and Jackson. While jazz’s loss is clearly humanism’s gain (or are they not both and the same?) 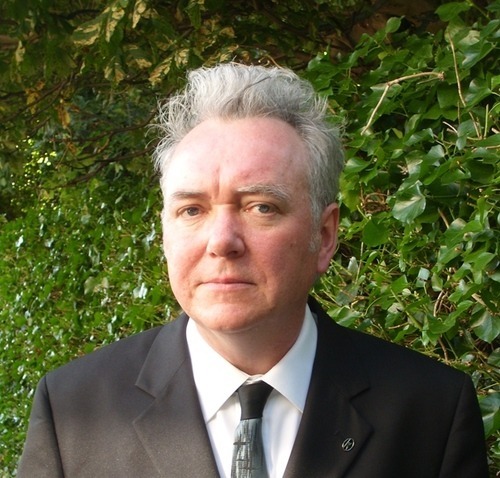 guitarist Billy Jenkins’ role as a humanist officiant means we don’t see him gigging or recording quite as much as in the past. So it’s good that this year’s Brecon Jazz Festival is to mount, get this: ‘The Drum Machine Plays The Battlemarch of Consumerism’, an extended Jenkins composition created, composed and scored for six drumkits by the guitar poet of the suburbs himself. Martin France of Spin Marvel is at the helm, and he’s perfectly placed as a leading percussionist in Jenkins’ outlandish Voice of God Collective for many years, with percussion students from the Royal Welsh College of Music & Drama heading to Brecon to perform the piece. ‘The Drum Machine’ dates back a dozen or so years with Jenkins making plain to Making Music magazine at the time his motivation for the piece: “I want folks in clubs dancing to real musicians — those who take the responsibility for every single sound they make, not a pre-programmed pathetic microchip with parameters, pressed once by a self appointed purveyor of so-called music taste." Jenkins has not been terribly impressed, to say the least, by “the rise of compressed digital recorded sound sources that constrict timbre and intonation," and you can see his point as we have all become inured to the march of technology which often values ease of use more than quality of sound. The concert takes place in Brecon’s Theatr Brycheiniog at midday on 10 August.